The books I’m reading right now because my husband and kids asked me to. Fiction is a great empathy builder, because the process of entering into a different—albeit imaginary—world forces the reader to see things from another point of view. This category also prods you to see things from another point of view, by picking up a book you might not have chosen otherwise. 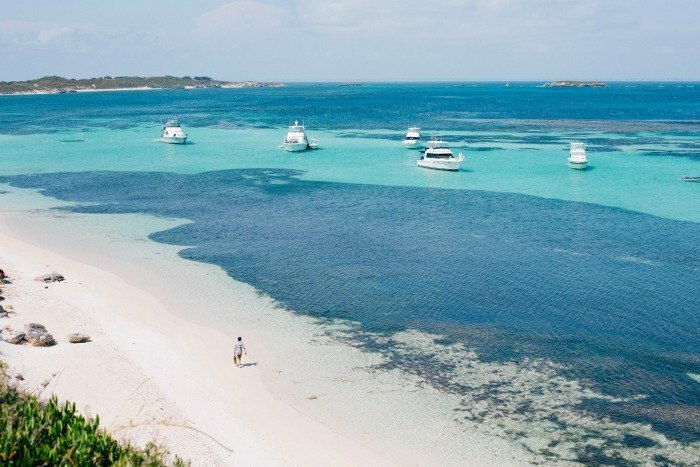 You get to experience the work yourself, of course, but you also get to step into the shoes of your loved one as you reflect on why they chose a particular title for you, and what they think about it themselves. 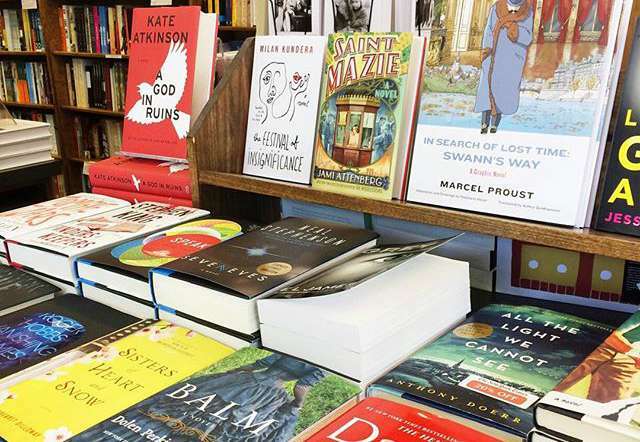 For this category, I let my husband and four kids pick my summer reading. This is what they came up with. What are you reading for this category? What great books have YOU found because a loved one recommended (and/or begged) you to read them? I’m curious about your 11-yr-old’s book list but the link isn’t working. ? My younger sister is great at begging me to read the books she’s read. This year at her recommendation I have read the Dorothy Must Die series by Danielle Paige. I have also read Mistakes Were Made (But Not By Me) and Playing for Pizza by John Grisham (not his typical type novel) at the suggestion of my dad. I recommend both of them. I have a copy of Tuesdays at the Castle. My 10 year old has yet to show interest in reading it, but I’m about ready to just pick it up myself. It sounds interesting! Unfortunately, we were in an extremely legalistic church when Harry Potter came out, so my 3 older children didn’t read then until they were adults. As soon as my oldest son, who was 23 at the time, finished them, he started trying to get me to read them. I did read them, 2 years ago at age 46!! Oh my goodness. My son and I would be up texting at midnight and beyond some nights while our families slept!!! We had the best discussions about those books!!! My 7 kids still at home read Harry when they turn 16. That way, they can read through them as fast as they like and I know they can handle the themes. I have another daughter starting them in September!!! She’ll be the third of the younger set to read them. I can’t wait to discuss them with her!!! When I was about 13 my library had a copy of The Outsiders on a display of banned books. I read it, and felt so rebellious. 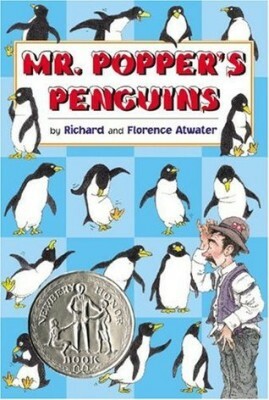 I loved Mr. Popper as a kid, but when I re-read it to my kids last year I thought the ending was kind of weird. I absolutely love that you’re reading books your children have recommended. What a beautiful way to honor them. I’ve got to get my hands on the book about Esteban! His story is a part of NM history I’ve always loved. Coronado monument is about 10 miles north of my house. The whole Tuesdays at the Castle series is lovely! You will all love them! The Outsiders is amazing! 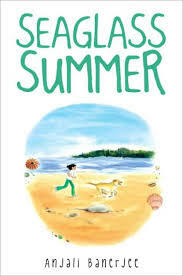 I loved it as a teen andonly found out that SE Hinton was a teenager and a girl recently. SHOCKING! It’s so full of emotion and experience and lessons that most people require a lifetime to learn. I hope you love it! I had no idea it was a female author or that she was only 16 until now! What a revelation. She created an amazing book. Yes, this just blew my mind and now I feel an intense urge to reread immediately! 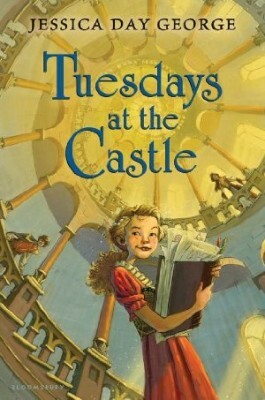 I loved Tuesdays at the Castle! I will probably start #2 this weekend. My nearly 12 year old has yet to show interest. The book that I had my husband choose for me is actually a book in your picture! It is Seveneves by Neal Stephenson. Do you see how big that book is? I didn’t realize that when he picked it for me and now I like to give him a hard time about it :). So far, it’s pretty good, but I still have about 700 more pages to go! 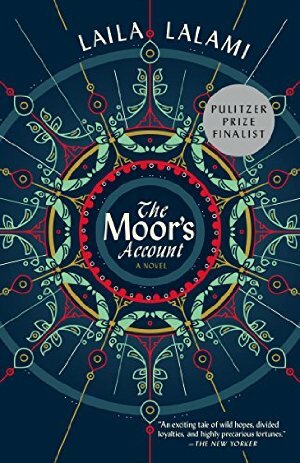 The Moor’s Account is on my “to read” list too! I’m excited to hear what your thoughts are on it! It is such a great idea to take book recommendations from your children and husband for the summer! Hopefully I can do this when my children are a little older. Love, love, love your reading list. Mine includes American Gods, not only because I’m a Neil Gaiman fan, but because my husband wanted an opinion before he reads it. Howl’s Moving Castle by Diana Wynne Jones, is also on my list and was recommended by my 9 year-old daughter (it’s one of our favorite films). Oh my goodness! 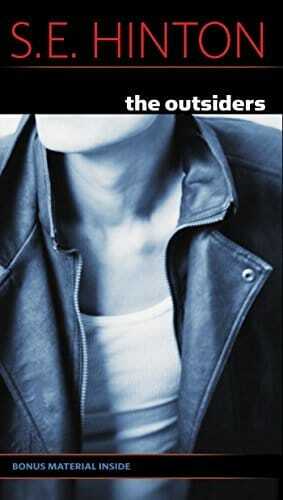 The Outsiders is my 14 year old daughter’s favorite book. She read it for school a couple of months ago and has fallen in love. She baked the chocolate cake from the book and she frequently dresses as a greaser for costuming. I LOVE, LOVE, LOVE Tuesdays at the Castle! It’s such a fun book to read. I asked my sister for recommendations and she gave me a few – one I had already read and two I wanted to read – all YA fantasy, which is the genre we usually read. My brother jumped in to the conversation with War and Peace. Hmm…my sister won that battle! And yes, this is the same brother that started Tuesdays at the Castle when he was visiting and took it home with him to finish. Totally odd for him, but shows what a great book it is. My fiance was practically begging me to delve into some of his favorites from the fantasy genre. I finally caved and read The Name of the Wind and the sequel, The Wise Man’s Fear. Turns out I enjoyed them almost as much as the HP series!! My daughter is 41 and the three books she recommended that I read in the last few months are “The Yearling” by Marjorie Rawlings, “A Thousand Mile Walk to the Gulf” by John Muir and “Wonder” R. J. Palacio. The first two are books that most people my age read in high school or college, but somehow I missed them. “Wonder” is YA book about boy with a severely deformed face starting a new school. I expected it to be a real downer, but in the end, it was an uplifting account of love and acceptance. Ok, it’s time to crack open Ender’s Game. My oldest son has been begging me to read it for years! Many thanks to Silas for recommending “Mr Popper’s Penguins” . We just finished reading it to our 4 grandchildren for “Camp Grandblessing”. They loved it and so did my husband and I.
I love asking friends and family for book recommendations when I’m in a bit of a reading rut and can’t decide what book or genre to read next. One friend in particular has a habit of handing me a pile of books she has recently read and loved each time we meet up as she is desperate to discuss them with someone! My mom isn’t a big reader, so I was thrilled when she asked me to recommend a classic that I thought she might enjoy. Six months later and she has read and loved every Jane Austin as well as many Bronte’s I’ve suggested! My bf and I frequently share book recommendations. I have a Scribd account and he has audible. 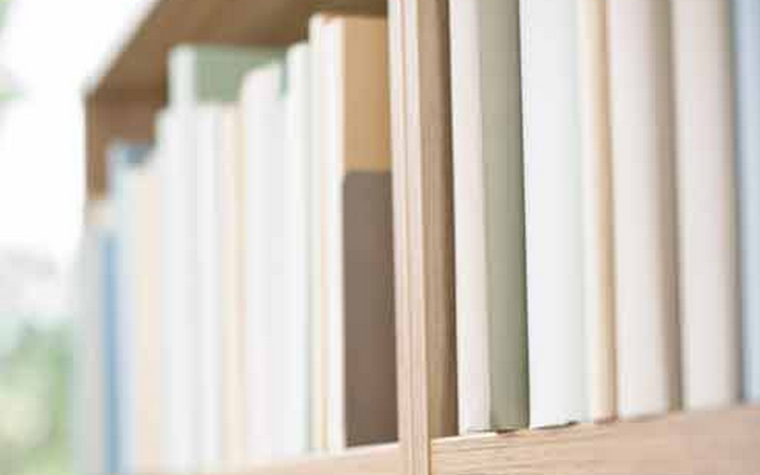 We each choose out our own books, but we share access to the accounts. Some books we’ve suggested to each other are The Confidence Game by Maria Konnikova, Disrupted by Dan Lyons, Catch 22, Bellwether by Connie Willis, and The Wind in the Willows by Kenneth Grahame. I think I’ve also got my mom hooked on audiobooks, I’m looking forward to trading recommendations with her too!